We’re continuing to discuss the concept of a summer kitchen. 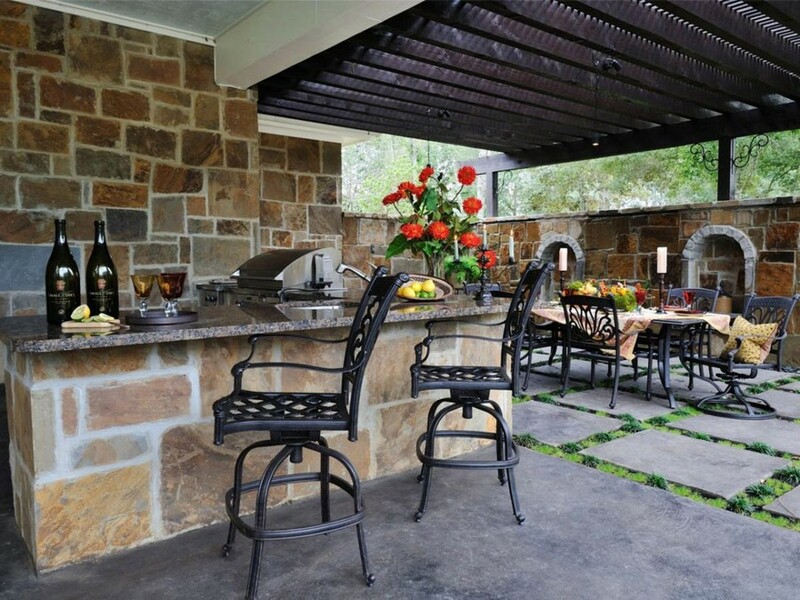 In the previous post we mentioned that an outdoor cooking area may have a few functional zones that make it more attractive and comfortable that a customary indoor kitchen. What are they? Let’s see! 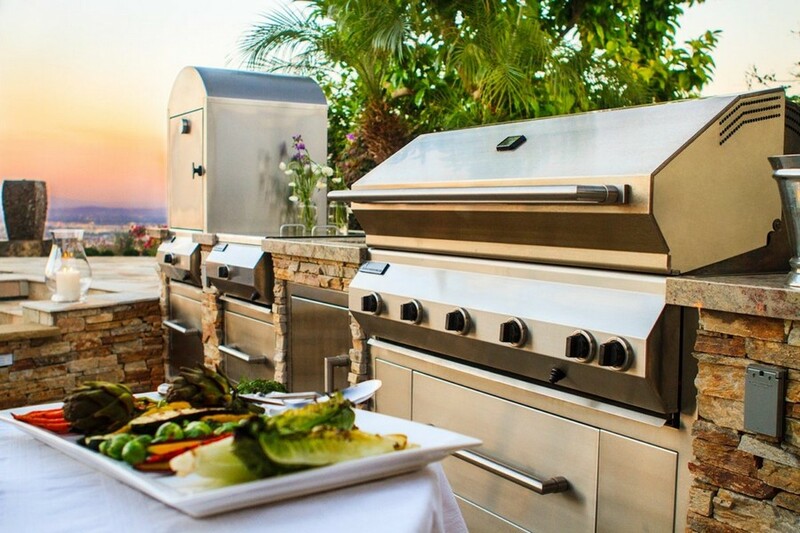 The icing on the cake of a summer kitchen is a zone of open fire cooking – it’s only outdoors where you can arrange a barbecue, a stove, a fire pit, a smokehouse or a tandoor. Such type of hot and smoky equipment would better fit into an open summer kitchen, otherwise there’s a chance that the smoke would take time to disappear. 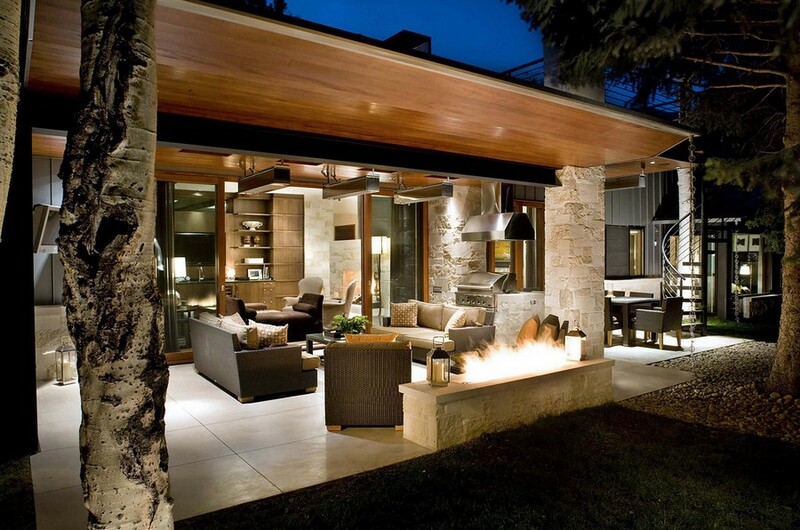 Mind the safety: such a zone shouldn’t be arranged by the wall adjacent to the house, and the surrounding materials should be fireproof and noncombustible. Also, remember the kids’ safety and consider some protection for the open fire. 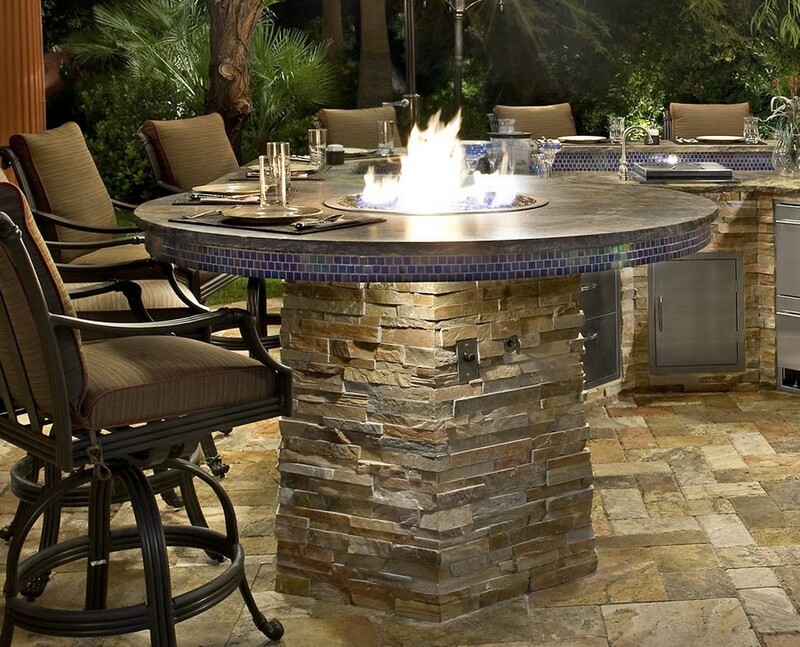 Even if you are keen on making your new barbecue or tandoor the centerpiece of your outdoor kitchen, you’d rather not place it in the middle, between the sink and the storage area, so that your movement along the kitchen didn’t become “jumping over the fire”. For your convenience it would be a nice idea to complement the existing kitchen areas with a spot for storing firewood or charcoal. One more advantage of a summer kitchen as compared to an indoor one is a nice chance to combine it with dining and lounge areas. Such an option is especially great for an open kitchen, in which the smoke wouldn’t disturb anyone’s peaceful enjoyment of the place. The furnishing depends merely on the size of your family and your imagination: wicker chairs, hammocks, chaise lounges and etc. The only limitation is the resistance-to-humidity issue of the materials, so upholstered furniture would be better left indoors. 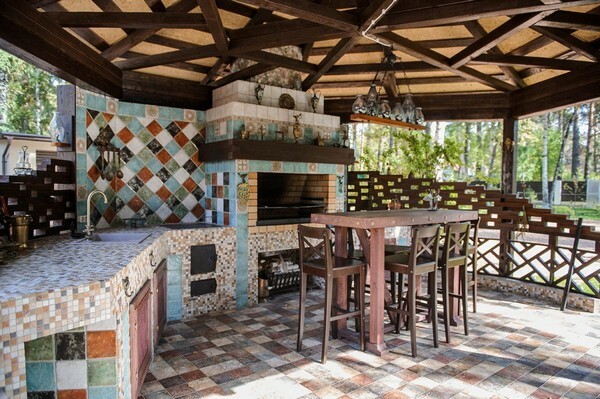 It goes without saying that a summer kitchen, just like any piece of architecture, should blend with the landscape, but sometimes it’s easier to correct the landscape for the sake of a summer kitchen than vice versa. The best place for an outdoor cooking area is in the middle of some picturesque part of the territory. If you don’t mind a vegetable garden in your yard, it would be good a idea to plant fresh herbs, leek or some vegetables next to the kitchen. And if you start growing citronella, lemon balm, basil or lavender, your summer kitchen will be protected from mosquitoes!